It's December which means Christmas is only a few weeks away!!! 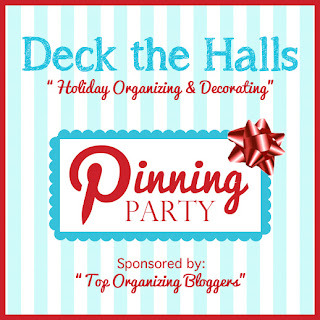 Meet the Top Organizing Bloggers! Feel free to click on their pictures to check out their awesome blogs! thousands of followers will see your projects and repin them! To join the Pinterest Board, go HERE! Even if you don't have a blog or post, you'll want to see all these ideas! 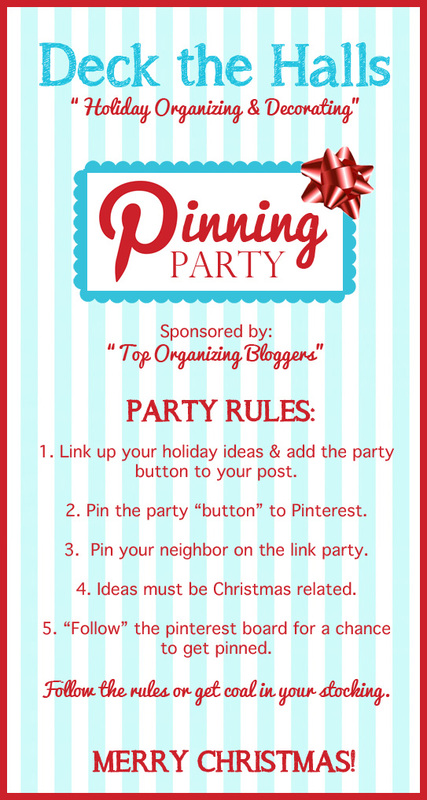 and start pinning and re-pinning everyone's fabulous Christmas projects!!! We can't wait to see what your ideas are for this Christmas season! Grab the code below for your post if you are linking up. What a fun Party to join!! All buttoned, linked and Pinned up, Ladies!! Thank you so much for this wonderful event!! I am so glad to see you here! Your home is always beautiful and you inspire me with your creativity! Oh this is going to be fun! Cant wait to see all the organizational goodness! There are some AMAZING ideas! I am flabbergasted (I love that word and don't get to use it often!) by all the goodness!